Who Pays College Tuition? | Sandra Bonfiglio, P.A. In these times of economic uncertainty, the enormous expense of college tuition weighs heavily on the minds of Florida residents. The state’s Supreme Court has been engaged in a debate around the right to set, raise or cap tuition at the state’s 12 publically funded Universities. While lawmakers grapple with tuition, so do many parents who wonder where the money is going to come from. Parents who are divorced and share in the costs of supporting their children benefit from anticipating the expenses these children incur as they grow. College or university tuition becomes due as children reach or pass the age of majority, the traditional cut-off date for child support obligations. Many divorced parents agree early on or in their initial divorce agreement to share these costs equally. Agree that a lump sum be placed in an escrow account and earmarked for tuition. Request an extension of child support payments to cover tuition costs. Alternate payments by semester or by year. It is essential for parents to bear in mind while calculating these costs that additional expenses — such as dorm fees, meal plan, books, clothing allowance and travel expenses — must be included in the formula. Many schools offer work-study programs for students in financial need who must earn their own pocket money. Parents who are not able to agree on the obligation to share in the cost of college education might need to return to mediation or request a hearing on the matter. In the absence of a previous agreement, parents have no obligation to pay college tuition without a court order. What is a state university cap? There have been a number of cases in New York and California in which a judge has applied a state university tuition cap. The cap obligates parents to pay their share of tuition costs up to, but not in excess of, the cost of state university tuition. If one parent chooses to pay the additional fees for a private school, the second parent has no obligation to participate. If you are divorcing and have young children, it is important to anticipate how you and your ex plan to share the cost of higher education. Sandra Bonfiglio, P.A. 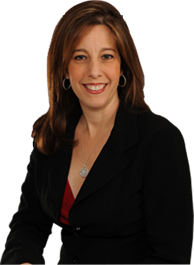 can assist you with this and all matters related to your South Florida divorce.